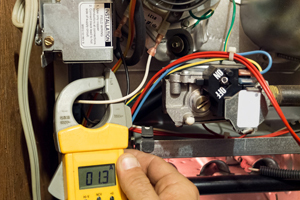 Staats Service provides furnace repair Peoria IL homeowners choose for reasonable rates. We offer repairs on most major HVAC systems and regularly scheduled maintenance to keep them running smoothly. Furthermore, we pledge to provide all of our customers with upfront pricing. We do not charge by the hour, but by the job. Consequently, you do not get shocked by additional charges you did not anticipate when we complete the work. Therefore, you can rest assured you always get honest, consistent and accurate pricing with us. So, work with the most-trusted name in the Tri-County area today. Call Staats Service now at 309-306-7081 or contact us online today for affordable furnace repair. When your furnace quits working, you need it back on quickly at a price you can afford. As a result, Staats Service provides the furnace repair Peoria IL homeowners use during emergencies. We respond with around-the-clock, emergency repair to get your heating working again fast. Do not spend a night shivering in a pile of blankets, waiting for a repairman to respond during normal business hours. Call Staats Service right away and get back to relaxing in a heated house quickly. Also, we respond right away whenever your air conditioning goes out unexpectedly. Nobody likes being uncomfortable during a weather emergency. Therefore, count on our team for emergency service to get your HVAC system running smoothly again. 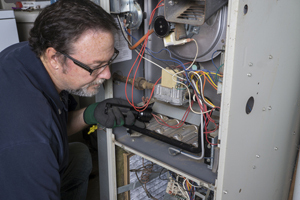 Staats Service provides furnace repair Peoria IL customers find convenient and other handy services. As a matter of fact, we fix washers, dryers, microwaves, dishwashers, refrigerators, ovens, ranges and other household appliances fast. Furthermore, we can also help with furnace and air conditioning sales and installation, custom sheet metal fabrication, electric heat, indoor air quality and thermostats. Staats Service provides fast furnace repair Peoria IL locals trust because of honest, upfront prices. They also appreciate our emergency service when their heating and cooling quits working unexpectedly. In order to work with a trustworthy company that responds during emergencies, call Staats Service now at 309-306-7081 or contact us online. In addition, we can respond for furnace repair in Morton, Washington, Metamora, Pekin, East Peoria and the surrounding area. We are conveniently located at 601 South Main Street in Creve Coeur to respond to any calls for service in the Tri-County area. Want to learn more about Staats? Read our 2011 article from the JournalStar to hear some of our history!